Health JAM: Is Your Organization Making the Most of Twitter? Is Your Organization Making the Most of Twitter? Twitter can help organizations broaden their communications reach, share knowledge, develop relationships, grow their networks and gain visibility. But realizing Twitter’s full potential involves more than just tweeting, retweeting and following. Tools like tweet chats and twitterviews can be used by organizations of all sizes to maximize their impact on Twitter. At the CDC’s National Conference on Health Communication, Marketing and Media in August 2011, representatives from the Office of Disease Prevention and Health Promotion (ODPHP), Health Literacy Missouri (HLM) and the National Prevention Information Network (NPIN) discussed how they have used tweet chats to grow their following and increase audience engagement. ODPHP: A tweet chat held during Health Literacy Month, in October 2010, included one expert advisor and a panel of 11 key opinion leaders. A total of 160 individuals participated in the chat which yielded 1000 tweets and 360 uses of the chat’s hashtag. The chat also provided the impetus for ongoing discussion on the topic of health literacy. 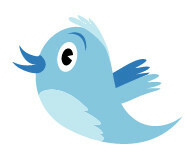 HLM: In October 2010, HLM hosted its first tweet chat which drew 100 participants and resulted in 500 tweets. Since then HLM has hosted several successful tweet chats on a range of topics including Healthy People 2020, health reform, health literacy stories and how young people gather online health information. Since it began hosting the chats HLM has increased its network by 1000. According to the hashtag tool The Archivist there have been over 8,300 tweets which have used the #healthlit hashtag since October 2010. NPIN: For 2010 National HIV Testing Day NPIN held a tweet chat event that included representatives from 99 state and local health departments, community-based organizations and activists/influencers. Over 1000 tweets, representing 145 Twitter accounts, were tracked using the event hashtag (#NHTD). NPIN’s Twitter following increased by 10% during the week of the event. Participate in existing tweet chats to understand and get comfortable with the format. Click here for a description and schedule of health care tweetchats compiled by the Fox Group. A recent blog post by social media coach Jane Fouts offers helpful advice on how to participate in a tweet chat. Know your goals: Determine what you are trying to accomplish, identify your target audience, understand what issues need to be a part of the conversation and why this topic is important to your audience, determine the main message you want people to remember. Assemble a team to manage the chat and assign responsibilities. The size of the team will depend on your organization’s resources and the expected attendance. Director: oversees the overall operation of the chat; directs questions, watches the clock and makes decisions on how to respond to issues or questions that arise. Moderator: responsible for sending out pre-written tweets and keeping the conversation moving along. Monitor: keeps track of questions asked by participants and directs them to appropriate respondent. More than one monitor may be needed. Responder: answers participants’ questions. Depending on the number of topics and participants, multiple responders may be needed. Try to anticipate questions and prepare responses ahead of time. Use tools like TweetChat to help manage the actual event and monitor the conversation. Make your event timely by choosing a topic that people are actively talking about or plan your chat to coincide with national events. Start promoting well in advance of your chat date. Make it easy for influencers and other supporters to promote your chat via their networks by offering them sample tweets. Promote the chat via your own Twitter account and other communication channels such as e-newsletters, your blog or other networks. Invite relevant organizations as well as individuals. Summarize and archive the key points that came out of the chat including relevant resources related to the chat. Distribute the summary to your audiences. The panelists acknowledged that planning and preparing for tweet chats requires a significant time commitment; however, the results they shared were impressive, even for a single chat. If you haven’t hosted a tweet chat you may be missing an opportunity to make the most of your Twitter account. Please consider retweeting this post or following me @jamierauscher.